1. Control your own fate. Choose a great destination. A little research into your destination goes a long way. That backpack tour of Belgian breweries you’ve dreamed of can be saved for after the kids head to college. Find somewhere that offers something for everyone. This will keep the whole crew happy making it so much easier to bond. 2. Invite your kiddos to get involved in the planning. Road tripping? Get them their own map and have them pick out a cool pit stop along the way. Resort destination? Get them eager for theme nights and nice dinners by letting them choose their own outfits. Including your kids in the planning helps get them excited for the trip. Some packing help doesn’t hurt either! You can even create a simple countdown calendar to build excitement leading up to departure day. 3. A family that plays together, stays together. You’ve picked the perfect vacation spot, now it’s time to take advantage of the family-friendly activities. 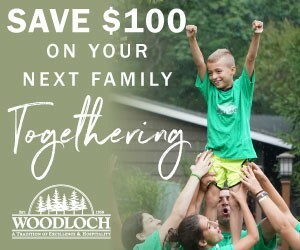 That’s why an all-inclusive resort, like Woodloch Resort in the Poconos is the perfect place to reconnect. This four-season getaway spot offers adventure, relaxation and pure enjoyment for everyone. Whether you’re snow bunnies, lakeside warriors looking for excitement, or seeking rejuvenation at a slower pace with a spa day, Woodloch has it all. 4. Unplug for maximum connection. Smart phone multi-tasking can really put a toll on the family dynamic. Turn them off when possible and tune in to family. Lead by example. Set your out of office message, and use a camera (yes, an actual camera) to take photos and avoid your phone as much as possible. This shows the fam they have your attention and they are most important. 5. Don’t sweat the things you can’t control. 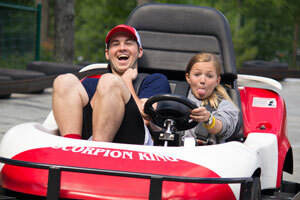 Unexpected and unscheduled experiences can make for the best family memories. A delayed flight may lead to an impromptu family game, or some rainy weather may result in a cozy fireside bonding session. New adventures arise when the day’s events take a different turn. Embrace changes in plans and don’t let them take away from your quality time together. 6. Take a vacation from your parenting rules. Vacation is not the right time to try weaning your toddler off his binky, or breaking your tween of her selfie addiction. Bend the rules a little, let them stay up late and have an extra serving of ice cream. Spending time with your partner and children should focus on just that- the experiences you have together and growing closer as a family unit. Along with some thoughtful destination planning, flexibility, communication and an open mind, will help pave the path to a perfectly unforgettable vacay. Ready to connect with those you love and make lasting memories? Go pack your bags (and be sure to ask the kids to help)! 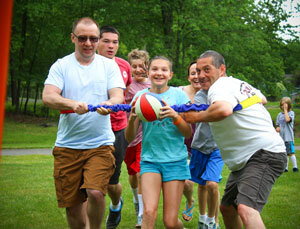 Ready to drop those devices and have some good-old-fashioned fun this summer? 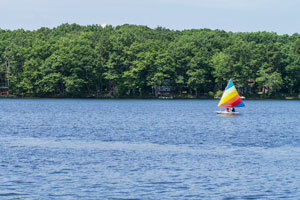 Check out Woodloch Resort right now. It's TripAdvisor's #1 family resort and located in the Poconos. Popular times fill up fast, though. So don't wait!